It’s as curious a sight to behold as any in sport: a 5’11” rolling hill, officially listed at 265 lbs. but closer to 285 and probably more, steps to the plate in a Major League Baseball stadium, adjusts his batting helmet and looks toward his inevitably slimmer counterpart. Carrying his bat like the reluctant uncle drawn into a wiffle ball game at a family reunion, he assumes his stance, utilitarian if not necessarily poetic, and awaits the pitch. Nominally but a starting pitcher for the New York Mets, Bartolo Colon is so much more: the lovable symbol of a generally likable franchise in an otherwise reviled sports city; a former Cy Young Award winner – and, yes, PED user – whose first appearance in a World Series had to wait until the age of 42; a hypothetical proxy for the man watching baseball on his couch after doing, or ignoring, yard work. What should seemingly hold him back, his ungraceful body, is precisely what carries him forth. And nothing in baseball has become quite so captivating as watching Colon at the bat. As a pitcher, Bartolo Colon is formidable enough. 221 wins into his career, he sports an ERA below 4 and achieved double-digit victories each season from 1998-2005, including two twenty-win seasons and the 2005 AL Cy Young Award. He was an All-Star in 2013, his final season in Oakland, and finished sixth that year in Cy Young voting at the age of 40. More often than not, he pitches well, which is why he remains. In the footnotes of his career lie several franchises in transition: he began his career playing with the last vestiges of a World Series contender in Cleveland, he is the last remaining active former Montreal Expo in MLB and his Cy Young season was the first of the re-branded “Los Angeles Angels of Anaheim” era. Indeed, he arrived with his current club, the Mets, prior to the last season in which they did not finish with a winning record before ascending to their current status as a National League powerhouse behind homegrown arms and an advantageous offense. It is as a Met, however, that the spectacle of his at-bats has reached the forefront of the collective consciousness. As hard as it may be to believe for such a well-traveled player, prior to joining New York in 2014, his seventeen starts with the Expos in 2002 was the only other time he was with a National League ball club°. Thus, Bartolo at the Bat has become something of an internet phenomenon, the kind of appointment viewing that draws attention away from Twitter if only for the guaranteed reactions which follow it. As consistently good as his pitching is, Colon’s attempts at hitting sometimes fall somewhere between low-brow comedy and performance art. They’ve made t-shirts of the instances when his batting helmet betrays him. It isn’t even necessarily that his batting is that bad, especially as far as pitchers and/or other New York Mets go. Hell, Mets pitchers may be the best hitters on their own team: Noah Syndergaard went deep twice last night. 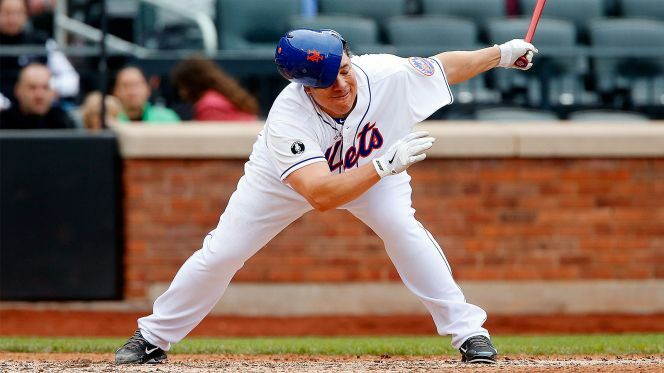 Pitchers hitting is as much of a novelty as that which replaced them in the AL, the designated hitter, but Tolo’s hitting speaks to a different sensibility altogether. It’s that it looks absolutely horrendous, like putting an action figure in a blender and hitting liquefy. Something like that should never work. And yet…well, surely you heard¹ that last Saturday afternoon, Bartolo Colon, the nearly-43-year-old pitcher, became the oldest player ever to hit his first career Major League home run. On the blunt end of that deformed instrument, San Diego Padres pitcher James Shields likely committed his single most memorable baseball act in giving up Colon’s home run². Predictably, the internet went loco for Tolo, setting his homer within the context of The Natural. 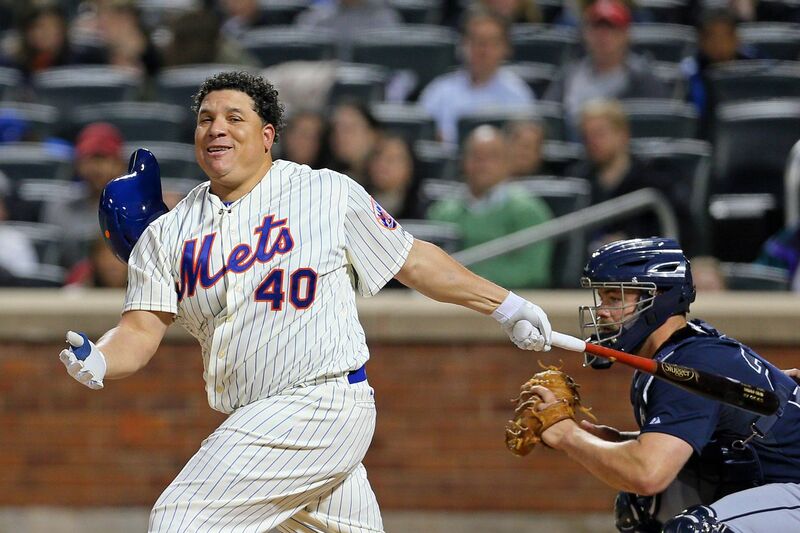 Again proving the Kevin Garnett Fundamental Rule of Sports – that anything is possible – Bartolo Colon’s home run was a singular moment representative of the fun in sports³. We keep baseball around because of moments like this, when the reaction of Colon’s teammates in the dugout, many of whom have hit dozens, if not hundreds, of home runs, transmits a childlike awe and delight. It’s a kid’s game, after all. That he didn’t either give us a Jose Bautista-esque bat flip, nor go ahead and carry his bat around the plate because he didn’t know any better, is a mild disappointment within an otherwise near-unbelievable act. Near-unbelievable, of course, only because we know it happened. As the expected starter against Clayton Kershaw on Thursday, a repeat seems like perhaps a bit much to ask of Bartolo Colon. Then again, so was the first. °This is significant, of course, because pitchers hit for themselves in the NL rather than having a designated hitter step up in their place. ²As of this writing, Shields is the only Tampa Bay Rays pitcher ever to win a World Series game; you probably forgot about that because the Rays lost to the Phillies in 2008, but you won’t forget about this. And anyway, if you see him, don’t ask Shields about this piece.